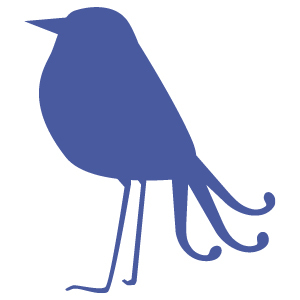 Introducing Martingale’s March 2019 new releases: get a sneak peek today! 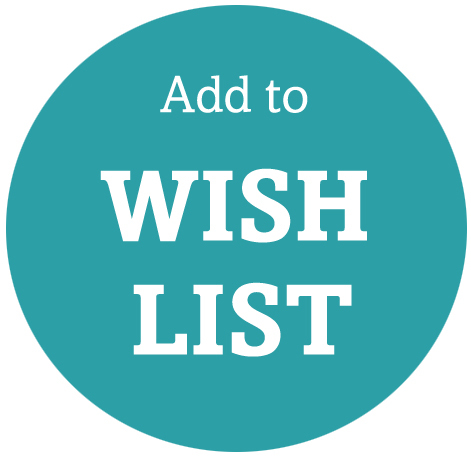 We’ve got an exciting lineup of new books coming to you in March—keep track of your favorites by using the “Notify Me” and “Wish List” options at ShopMartingale.com. Browse the latest batch of Martingale books below; then enter to win your favorite book of the month at the end of this post! Subscribe to our blog and you’ll always be first to see new Martingale books, plus special sales, freebies, tutorials, and more. The Moda All-Stars are on a roll! The All-Stars are back with sparkling projects for irresistible Jelly Rolls—coordinating precut 2½" strips of fabric that slash cutting time and speed up sewing time. Patchwork reigns in 14 quilt patterns created by favorite Moda designers, including Lisa Bongean, Betsy Chutchian, Joanna Figueroa, Sandy Klop, and Anne Sutton. From simple and classic to fresh and contemporary, you’ll find a beautiful quilt that’ll inspire you to get the ball rolling! The designers and team at Moda Fabrics are donating all royalties from the sale of Moda All-Stars: On a Roll to School on Wheels. Greet each season with beloved designer Pat Sloan leading the way! Pat’s clear instructions and encouraging “You can do it!” attitude make this collection of seasonal projects a snap to create. Choose from 13 simple patchwork and appliqué projects for spring (stitch a bouquet of scrap-happy tulips), summer (make a pillow in sky blues and sunny yellows), fall (harvest a fun pumpkin wall quilt), and winter (get cozy with a Nordic-style snowflake quilt). Each season offers something special to celebrate—and Pat’s easy-to-make projects will inspire you to welcome each turn of the calendar page. Make mesmerizing bargello quilts with the easy-to-follow instructions and charts included in Strip-Pieced Bargello. It’s like quilting by number! Simply sew strips of fabric together, slice the strip sets into segments, and arrange segments into swaths of movement and color. Create the illusion of curves using only straight strips! Start with as few as 4 or as many as 24 fabrics to sew a table runner, wall hanging, tote, tree skirt, or larger quilt. Armed with Judith’s tools, tips, and techniques, as well as her smart methods for staying organized, you’ll be ready to make your first—or your 21st!—bargello beauty. Which book would make your March extra sew-a-licous? Name it in the comments and you could win it! We’ll choose a random winner one week from today and let you know by email if you win. Good luck! And by the way . . . February books are available NOW! A bargello quilt is in my bucket list, so I would love the strip-pieced bargello book! I like the Moda All Stars the best. The strip piece bargello book looks great! I’ve been wanting to make a bargello quilt so the Strip Pieced Bargello book would be my choice. On a Roll – Moda All Stars would be my choice. I would love Celebrate The Seasons. It looks like there are some nice projects. Can’t decide, I like all three. Whichever would be wonderful! I did a bargello quilt top years ago. Unfortunately it was destroyed by my ex after we separated. I don’t have the original pattern but would love to receive the bargello book if selected. Thank you! I’d love On A Roll. I’ve just discovered the fun & ease of sewing w/strips! Can’t wait for the bargello book to be released. I love bargello quilts and would love to start another now! Celebrate the Seasons looks like a great book for charity quilt inspiration. Moda All Stars would be a perfect book for all my jelly rolls. Strip Pieced Bargello would be my choice. I have not made one of those quilts yet. They all look like great books but I would love to win the Bargello book. I made one Bargello quilt in a class and want to make another. Thanks for the chance to win. Oh! My goodness! I’ve wanted d one of Yoko Saito’s books for so long. If I could make just one of her beautifully designed bags, I would feel like an artist! Her work is fabulous! Moda All Stars would be my choice. The strip piece bargello book would be my choice. On a Roll~ I can see using alot of my "stash" and not just 2 1/2 inch rolls! On a Roll would be my pick. Thanks for the giveaway! Mods All Stars On A Roll is my top pick! I would love to win the Strip-Pieced Bargello book! On a Roll, would be the book I would choose! I pick "On A Roll". But they are all winners! I have been working up the courage to try a bargello quilt. The book, Strip-Pieced Bargello might be just what I need to take the leap! Bargellos are beautiful, however, i can really see Moda Stars on a Roll making a huge dent in my stash! I just joined a Secret Sister gift exchange, so Celebrate the Seasons would come in handy right now. Since I have not tried it yet = I would have to go with the Strip-pieced Bargello, I love how they look finished. It is so hard to choose but if I have to it would be Strip Piece Bargello right now, but maybe later I would change it..Thank you for the give-away. They all look wonderful and I am sure will eventually end up in my library. I will choose Strip Pieced Bargello – I love bargello quilts. Moda All Stars – Love those Jelly Rolls! Bargello Quilts and On a Roll are tied. Both have some wonderful quilts in them and I’d be delighted to win either book. Thanks for the chance. I would love to win Strip Pieced Bargello! Thanks for the chance! I “need” Strip-Pieced Bargello. Thank you. Wow hard to choose. Strip piece Bargello catches my eye but then there’s on a roll too! Great books this week. Here’s hoping. all these books look wonderful but i really want to make a bargello quilt so i pick strip pieced bargello. Strip pieced barbells looks like a real winner! 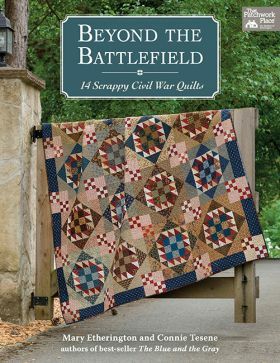 It would be a great addition to my quilting library. 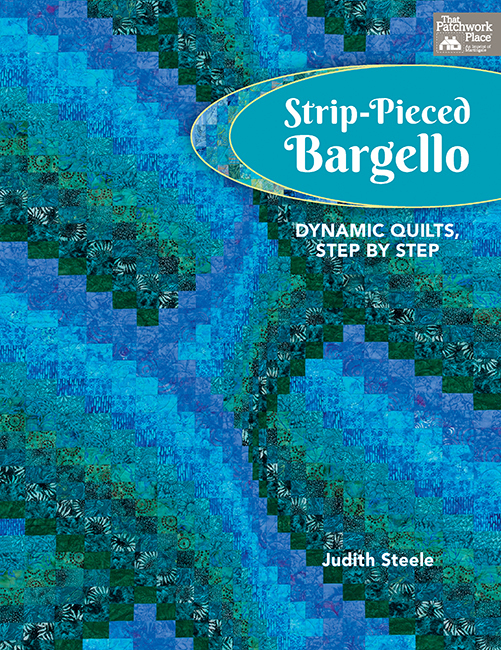 I love bargello quilts, so the Strip-Pieced Bargello is the book for Me!!! I’d like Moda’s On a Roll. Just got an Accurate-Go that cuts 2 ½” strips. This would be a great way to practice using it. I’ve shied away from making a bargello quilt. When I saw The Strip Piece Bargello Book, it made me realize that now is the time to make this quilt. Thank you for the chance to win this book. I’d love to have Pat Sloan’s new book, Celebrate the Seasons. On a Roll! I have some strips that need to be turned into some beautiful quilts! Would like to do a small bargello piece so I could use the Strip piece Bargello book. The projects in Celebrate the Seasons are cheerful and happy, so that is the book I would choose. I would love Moda All Stars On A Roll. The quilts would be great to make for my charity quilts! On a roll has some innovative designs I’d like to try. Would like to try a small bargello piece, so the Strip Piece Bargello book would be nice. On a Roll please! There are so many possibilities with a jelly roll! The Moda All Stars On A Roll book is just what I need to help me decide how I want to stitch up some of my favorite jelly rolls that I have been holding on waiting for that "perfect" pattern. The book will absolutely help me decide what I want to do! On a Roll… great for using up odds and ends! Ooooo! I’d love to win Strip Pieced Bargello! It’s a quilt style I haven’t tried yet! I have always wanted to try another bargello, so I would have to pick "Strip-Pieced Bargello". Would love Moda All Stars: On a Roll. I have been purchasing jelly rolls lately and they can be put to good use! Thank you. Hard choice! I would like Strip-Pieced Bargello. All of them are on my wish list. "Strip-Pieced Bargello" looks so yummy! I’ve always wanted to make a Bargello quilt. Love them all but narrowed it down to Moda All Stars On A Roll. Beyond the Battlefield would be my choice of books. Moda’s On a Roll-I love jelly rolls and have at least half a dozen waiting for this book!! Thanks! Moda All Stars On A Roll is my pick, but it is hard to pass up Pat Sloan’s book, as well as the bargello. Why are most of your choices like picking your favorite child? I would like to add all of these books to my library. I would love the Bargello. I’ve always wanted to make a quilt like that. Moda All-Stars: On a Roll is right up my alley – several jelly rolls waiting for projects, and other fabric to cut into strips! Thanks for the chance. I would enjoy the bargello book. I have made a few, but I would like to make different ones. My favorite would be Pat Sloan’s Celebrate the Seasons. I love all the little projects! They’re so pretty! Oh, my! Those are some beautiful looking quilts!!! I love 2.5” strips so, “On a Roll” would have to be my first choice. Well done, Everyone! Decisions, decisions….they all look wonderful! My eye was caught by several quilts in the On A Roll book , so I’ll go with that one! Thank you for the opportunity to win so many wonderful items! The Bargello book looks great for me. Thank you for the chance. I would love "On A Roll" . It looks great. Thanks for the chance to win. All the books look good, think I like the Moda stars best. Strip pieced bargello looks like a stepping stone to beautiful quilts ! Thank you for the giveaway ! Moda All-stars: On A Roll would make my March special. I am getting ready to take a class on bargello quilting. They are so beautiful! Moda is my favorite fabric! I cut my scraps into 21/2” strips. Hmmm…Jelly Roll book is right up my alley! Wow, so hard to choose. I love the bargello wall hanging, but would more than likely make a quilt or two from All Stars on a Roll. They all look like loads of fun1 If I must choose one, I think it would be Celebrate the Seasons. I would love to make the beautiful strip pieced bargello quilts in that book! On a Roll, would be my choice , as would love to try the chicken pattern. I have been longing to give Bargello a try! Loved the quilts shown in the book On A Roll. The use of colors and contrast was very interesting. I’d make good use of On a Roll. So many creative ways to use strips! I love the Moda All Stars. Love decorating my house for each season – some great inspiration in Pat’s new book! This is a tough choice! But since I have never made a bargello quilt and feel I should try at least one, I will pick the strip-pieced bargello book. Thanks for the opportunity to win! Would love to add Moda’s All Stars Book "On A Roll" to my collection. “On A Roll” has some wonderful quilts. Moda All Stars On A Roll book is the one for me! It would make my March sew, sew sew-a-licious!! On A Roll–I need some simplicity in the crafting room right now, since it is busy season at work. Thanks for the give-away! The Moda All Stars: On a Roll really caught my eye. I like the different designers in one book because you get varied projects. Pat Sloan’s new book looks great too, though. Strip-Pieced Bargello is my favorite. Great offerings for the month. If I had to choose one, it would be Moda All-Stars: On a Roll. Have a number of 2-1/2″ strips I should turn into quilts. Celebrate The Seasons looks like a winner. I love the Moda Allstars:On a Roll! Beautiful!! I would like to try those moda all stars on a roll ! Moda All-Stars would be my pick. I am torn between On a Roll and Celebrate the Seasons! Both books have lovely projects!!! I’ve always wanted to try a bargello and the Strip Piece Bargello might just be the book that gets it done! Moda All Stars would be my choice. They all look great, though. They all look wonderful! My favorite and most likely to be used to make a quilt is the Moda All Stars on a Roll. I have several jelly rolls that need a good pattern. Celebrate the Seasons!! Looks awesome! Pat Sloan’s Season’s book looks like the absolute book I need! The Strip Pieced Bargello book looks dreamy, but if I’m honest, I’m intimidated by the complexities of those beautiful projects. I know I would get more use out of On A Roll or Celebrate the Seasons, so I choose On a Roll. I have a pair of batik jelly rolls crying out for a unique pattern, and it looks like this book has several. Thank for the offer to win! I like the On a Roll book. Always great to have patterns to use with pre-cuts. Pat Sloan’s ‘Celebrate the Seasons’. I’d love a copy of On A Roll. I have several fabric rolls that need a quilt. Srip Pieced Bargello and Moda On A Roll. BUT most of all I would like Text It. I’m just waiting for it to arrive at Martingale. On a Roll but what a difficult choice! The Moda All Stars On A Roll looks like a good one–I have lots of jelly rolls that are waiting to be used! All stars! The Moda gals are the best! Moda All Stars « On A Roll » is my favorite! Thank you! Pat Sloan’s book looks wonderful! Strip piece bargello would absolutely make my year!!! Moda All Stars: On A Roll looks like it’s full of fun projects for jelly rolls I have. Thanks for the chance! Bargello is such a beautiful pattern – I would love to have this book!. Thank you for the opportunity to win it. Beyond The Battlefield would make a nice addition to my library not to mention the fun in making some of them. Thank for another great giveaway. Strip pieced Bargello would be my choice! On A Roll is the book for me today. I guess because I’m ready to choose a pattern for a roll I have and I can’t seem to choose which one. I would love to try the strip piece Bargello! I’ve always wanted to make a bargello quilt so this might get me started! I really like the variety of designs in "On a Roll," so I’d have to choose that one! Do I have to decide? I love all three of them, but if I had to chose one, I would choose On A Roll. I love the possibilities of using the jelly rolls. Tough choice; they all look fun! If I have to choose 1, it would have to be the Strip-Pieced Bargello. A simple Strip-Pieced bargello was the first real quilt class I ever took. These look so much more complex. All starts on a Roll is definitely my favourite. Moda On A Roll would be the first book I would use as I have just discovered I have acquired a number of rolls in my stash that I want to make up. On a Roll sounds like fun! ‘On a Roll’ is my choice with some great ideas for sing my strips. ‘Pat Sloan’s Celebrate the Seasons’ would be a great book to have on hand for last minute seasonal ideas! Love that she includes smaller projects along with larger sized ones. All the books look great and I would be happy to win either, but I think I like the Moda All Stars On a Roll the best. Like:"Celebrate The Seasons" best! Thank You! i would love to win STRIP PIECED BARGELLOS, I have never attempted to even try one of those patterns, but if this book explains easily "how to" I am all in. Pat Sloan’s, Celebrate The Seasons. Moda All-Stars: On a Roll has several quilts that are beautiful. Boy that’s a toughie. Moda All Stars books are always great…and I don’t have any books on jelly rolls…but I adore Pat Sloan’s designs…. The Strip Pieced Bargello looks like a lot of fun. Moda All Stars!! I love these books! I caught up w the earlier ones at Quiltstick 2018!! I would love to sew another bargello quilt! My first one turned out great. Now I would like to try a more difficult one. Moda All-stars on a Roll looks like a winner to me. Strip pieced Bargello would make my month sparkle. Making a bargello quilt has been on my agenda for ages and the book looks like the perfect aid. I think On a Roll would be a great book to own and use. Celebrate the Seasons would be my pick. Thank you. The Moda All-Stars on a roll book would be my first choice. I love this series! The Bargello book looks very enticing as well! 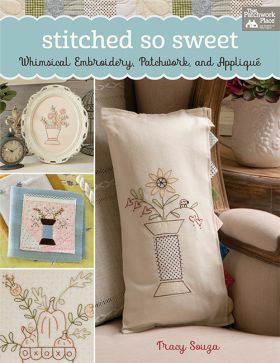 I could go with any of the books, but would love to have "Stitched So Sweet"! Moda All-Stars on a Roll would be my choice. I am quilting a Moda barn house pattern at the moment, and every time I take it out, people comment on the simple pattern with the quilting I am doing…it looks like planks. I would LOVE the Moda All Stars book! The Moda All Star On A Roll looks like fun. I would love On A Roll by the Moda Allstars. I have a few jelly rolls, now I need ideas! Thanks for the chance to win. 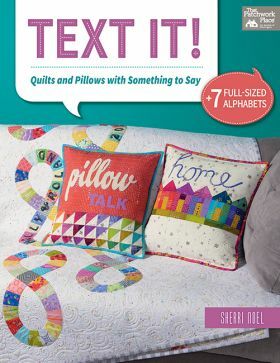 "Text It" is definitely as must have to make my March sewing. Celebrate the seasons would be perfect. Since my jelly roll tower will soon be rivaling the height of the Sears Tower, I think On A Roll would be lovely. Thanks! I love the look of On a Roll by Moda! tks! The Strip Pieced Bargello book is something I’ve been wanting to try. Nice variety in the On a Roll book, too. I would love to win Strip-Pieced Bargello. What fantastic quilts! Looks like Beyond the Battlefield would be great! They all have some really beautiful quilts featured but I like the idea of making some seasonal quilts so would lean toward "Celebrate the Seasons". Thank you. On A Roll would be the perfect book for me! I’d choose the bargello book if I won! "on a Roll" is my choice. I need to get my quilt mojo moving -so I would love "On a Roll"! Moda All Stars On a Roll please! So much inspiration in one book!! The book "On A Roll" would be fantastic to own. I couldn’t wait to dig in and create on of the quilts in this book. Moda on a Roll by the Moda Allstars looks like so much fun. Jelly rolls are so much fun to work with. the fabric is chosen and most of the cutting is done and you can just get to work. All the books look great. Strip Piece Bargello for sure. Have wanted to try this pattern for years, but haven’t gotten the nerve to buy a book yet. That’s a tough decision, all three books loom amazing. But I do have a soft spot for bargello quilts. So I will say Strip-pieced Bargello Quilts. On a Roll looks great! Thanks for hosting this giveaway! All 3 Books look like so much fun with great patterns. However, I have never done a Bargello quilt so strip pieced bargello would be perfect for me! It would make my March snap crackle pop with excitement at learning a new technique while making a beautiful quilt! Strip Pieced Bargello looks like the book for me! The Moda All Stars On A Roll book seems to have collected a great variety of quilts–and when you factor in how different each of them would look if made in different fabrics, there is no end to the kaleidoscope of possibilities. That is the book for me! I love bargello quilts and have made several of them. 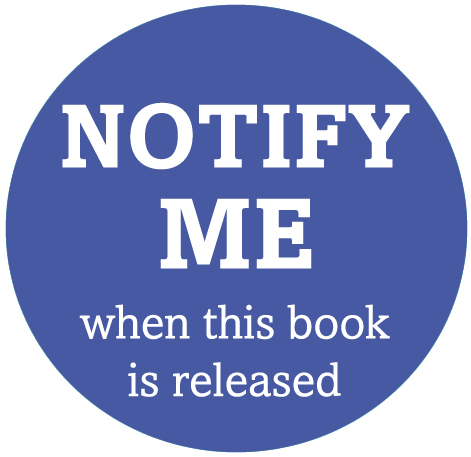 I am always on the lookout for new books with new ideas, so I would love to have this book! Pat Sloan’s Celebrate the Seasons. I like the “Strip Pieced Bargello” & have been longing to make something, but lack of time has prevented me from doing so. All Stars on a Roll is the book for me! It would be Strip-Pieced Bargello. I have wanted to do bargello for a long time & this looks like a good place to start! On A Roll would be a great addition to my liabrary and a great motivator. Celebrate the Seasons for me. Definitely Moda All Stars On A Roll! Strip Pieced Bargello! I took a class last summer and made my first bargello quilt and love it. I would like more pattern/designs and projects of different sizes to keep me "bargelloing." Would have to pick Moda All Stars On A Roll. I have several Jelly Rolls that would be perfect for some of the patterns in this awesome book! Thanks for a chance to win!!! 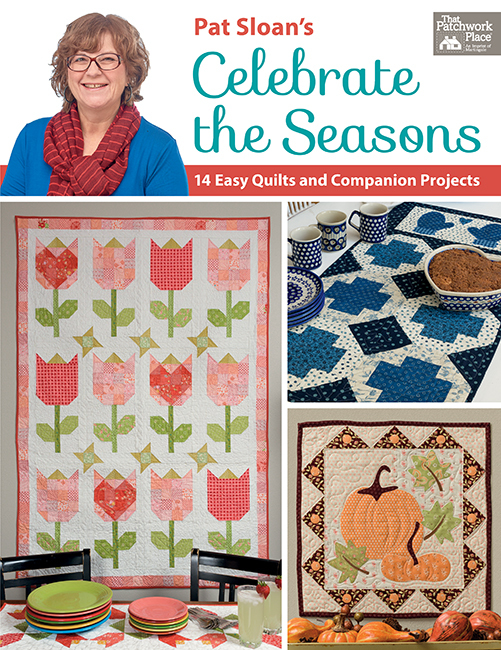 Pat Sloan’s celebrate the seasons would be a great start to completing some seasonal quilts as gifts. That is a hard choice!! I think "On a Roll" looks like fun. I would just love the Moda All Stars….the quilts are just perfect for me!! Thanks for the chance to win!! Strip-Pieced Bargello would be my choice. It’s on my bucket list to make one. Pat Sloan’s, "Celebrate the Seasons" would be my choice. I would want to make all 14 of her quilts in the book! It’s hard to choose: On a roll or Strip-pieced Bargello. Moda All-Stars: On A Roll would be a great addition to my quilt books! Thanks for the giveaway. "On A Roll" would be my choice! Strip pieced Bargello.Or Stars on a roll would be a tremendous addition to my sewing room. Since I piece or quilt six hours a day six days a week, I’m always needing inspiration for the jelly rolls I have stashed on the shelves and never seem to use. March would be on a stitching roll for me, with the book On A Roll! I definitely need On A Roll. I already have it on my wish list, because there are quite a few designs in it that I would love to make. Quilts on a Roll…ideas for all my lovely 21/2 inch strip packs that I am hoarding (er…stashing…wink). I definitely have to go with "Moda All-Stars: On a Roll." I’m becoming more and more fond of jelly rolls, and the collection of designers in the All Stars books is great. I would choose the Moda Allstars On A Roll. I love to make charity quilts and this book would be ideal. Bargello is on my bucket list, so I would choose Strip Pieced Bargello. I love all the variety of options shown. I’d have to go with On a Roll. I seem to be accumulating jelly rolls faster than I can think what yo go with them! Definitely the Bargello book – one of my bucket list quilts. Just the other day I said I want to make a Bargello quilt, so the Strip Pieced Bargello would be perfect!! So hard to chose one! I’m thinking the Moda All-Stars: On a Roll, but the Celebrate the Seasons looks great as well. I choose Celebrate the Seasons. Strip-Pieced Bargello! I’ve been saying I"m going to stitch one for the longest time. Celebrate the Seasons would inspire me. This is hard to pick- but I will go with Moda All-Stars: On a Roll. I have lots of jelly rolls lying around that need to be put to work! Think I have to go with On A Roll. Several pics flashed by that are definitely my style. Moda All-Stars On A Roll… Love those 2 and a half strips! As always, a rough decision! However this is one book I will probably buy regardless. I am finally a confident enough quilter to tackle the GORGEOUS Strip-Pieced Bargello as it is something I have never done. So please save me from my husbands wrath of "more quilting stuff"!!!!!! On a Roll – I have too many jelly rolls that I don’t know what to do with. The pastel Bargello quilt is just gorgeous! But I think I would use Pat Sloan’s book more. I love decorating with seasonal quilts. A bargello quilt is on my bucket list so I’d choose Strip-Pieced Bargello. I saw several things that I would love to make in the Moda All Stars On A Roll. The Moda All-Stars: On a Roll would be great. I have quite a few rolls of 2 1/2″ strips that are waiting for the right pattern . Thank you for the giveaway opportunity. I’ve always wanted to do a Bargello. Moda All Stars On a Roll I would love to win that. Always welcome jelly roll patterns. "On a Roll" is right up my alley! Pre-cuts are wonderful, and the quilts shown from this book are beautiful! I have always wanted to make a Bargello quilt. Perhaps this is the year I do! On a Roll has some quilts I would like to make. The Moda All-Stars: On a Roll would be perfect. Thank you for the book previews! I would definitely like ‘Celebrate the Seasons’! Fun, colourful, and a different quilt as the seasons change. oh boy, all of those are fantastic, but I’d have to say I like the Bargello one best, then the strippie one, then the seasonal. I would love Pat Sloan’s Celebrate the Seasons! With a few jelly rolls in my stash, Moda All Stars On a Roll would provide the inspiration to use my stash! So hard to choose just one. I have been saying for a long time I am going to make a bargello quilt. It just keeps moving around on that bucket list. I am afraid it again gets out done….My pick would have to be "On a Roll". Thank you for all the wonderful inspiration. Strip pieced Bargello would keep me busy all month long. I would like the Beyond the Battlefield. Everything by these two authors is wonderful! Hard to choose just one, but Strip Pieced Bargello would be my first choice. I think I would like "On a Roll" the best. "Strip-Pieced Bargello" is a definite favorite with "On a Roll" an extremely close second….there are quilt patterns in both that have made my 2019 bucket list! That bargello is outstanding ! Moda All-Stars: On a Roll is my top pick. PAT SLOAN’s Celebrate the Seasons, it appears very colorful and enticing! Thank you. Strip Pieced Bargello looks awesome! It’s definitely on my wish list. I would love to win the moda on a roll book! I would love to win the book: Strip-Pieced Bargello. Thanks for the giveaway. I would like the book On The Roll. Love the patterns. Moda All Stars: On a Roll. Nice patterns! The “Strip Pieced Bargello” book would bring me a lot of joy. I have been wanting to make a Bargello quilt for a while and the samples in the book look great! The strip bargello book would be my choice. Celebrate the Seasons gets my vote! Oh gosh! All three books look amazing! My first pick is One a Rill, Moda All Stars. I would love to have "On A Roll" to use up some jelly rolls. Love the look of bargello, but have not yet tried one. This book, Strip Pieced Bargello is the impetus I’d need to try one (or two, or three, etc). Strip pieced bargello looks very interesting .. and fun ! I love batgello quilts but I have never been brave enough to try one. Strip-Pieced Bargello just might be the confidence I need. "On a Roll" looks interesting! While I would enjoy any of these, I,think Moda’s On A Roll would be my top choice. Strip-Pieced Bargello. i’ve never made a baegello quilt! The Moda All Stars on A Roll would be the most used in my sewing room. I would love "On a Roll" as I have so many jelly rolls that I can’t bear to open! Maybe if I had some new ideas on how to use them, I would actually do just that- use them!! I would love a copy of On A Roll!!! Thanks for the fun giveaway. I like bargello. even though I have not done one yet. I love the quilts show in On ARoll. Thanks for the offer! On a Roll is the current top-of-my-list favourite. It is hard they are all great!!! I love the challenge of a bargello. So I’m thinking Strip Pieced Bargello. “On a Roll” is my choice of the new books. I have a number of jelly rolls and need ideas to help me decide what to make. Moda All Stars On A Roll is a book I would love to have. Would love to try Strip-Pieced Bargello. I would love to have "On a Roll!" I would like to work with jelly rolls. I like to Celebrate the Seasons, so that would be the book for me. T.hanks. I would love “Celebrate the Seasons”. Thanks for the chance. Stripe Pieced Bargello. Have always wanted to try it. This is a hard choice. If I had to pick one, it would be On-A-Roll because I am always looking for ways to use strips – whether it’s from a jellyroll or my stash. Thankyou for the nice giveaway. I want all three! but to pick just one it would be Strip Pieced Bargello. I really want to make a bargello quilt and there are some beauties in Strip Pieced Bargello! Would love the bargello book. It has been on my list for a long time. I just need the right thing to give me a push and commit to making one. The Moda All Stars On a Roll Quilt book would be my choice. I’ve never made a bargello quilt, so I would love to have the book "Strip Pieced Bargello" so that I can make one. Celebrate The Seasons would be great. Celebrate the Seasons – love to do season hangings for my front door! Just bought a jelly roll so On a Roll or Bargello. All the books look great, but I think “On a Roll” would be my first choice. Pat Sloan always has great projects! I was just hoping there would be a new jelly roll book and there it is! On a roll. Looks great. Strip Pieced Bargello looks incredible! Moda All-Stars On a Roll is my top pick. I have several jelly rolls that are waiting to be made into beautiful quilts! "On a Roll" looks great! They all are lovely. I have wanted to do a bargello quilt to Strip Pieced Bargess is calling my name. I would like Moda All Stars On A Roll. I love bargello quilts. The Strip Pieced Bargello is one I would really enjoy! Pat Sloan’s Celebrate the Seasons! I’ve been itching to try a bargello quilt so Strip Pieced Bargello would make my March! On a Roll is my first choice for sure! Definitely Moda All Stars On a Roll. I have all of the Moda All Star books so far & I’d like to continue! A very close second would be Pat Sloan’s new book, Celebrate the Seasons. I love make runners & placements for the different seasons & holidays. Thanks for the chance to win another fantastic giveaway! Someday maybe I’ll be the random winner………………….. The bargello book intrigues me but I’d be thrilled to win either one. Strip Pieced Bargello would be my choice. I’ve always wanted to make one and this would be just what I need to get started. Thank you! It’s hard to choose! I think I’d have to choose Celebrate the Seasons. My pick is "On a Roll" – I’ve got a ton of strips which need to be transformed in fabulous quilts! Thank you! "On a roll" – love those chickens! On a Roll for sure! On a Roll looks like the book for me. On a Roll–I’ve got a jelly role sitting here beside my computer! Strip-Pieced Bargello would be an awesome addition to my library, and maybe I’d finally try bargello. I think Strip-Pieced Bargello looks like fun! So hard to choose between these three! I’d love to try making a bargello quilt, and I love Pat Sloan’s designs, but I think Moda’s All Stars: On a Roll is my favorite. That chicken quilt MUST be made! I’d love "On a roll"
I’d love to “Celebrate the Seasons” with Pat Sloan. I would love to win a copy of On a Roll. I would love strip pieced bargello. If I have to pick one, I guess it would be "On a Roll". They all look full of fun projects! While all of the books look interesting, I think the Bargello book gets my vote!! On a Roll is the first choice because it would be easy to cut my own 2″ strips from my stash of fabric. I like On A Roll book. Hard choice. Guess the jell roll or bargello would be my pick. Celebrate the seasons looks so great! I would love to try any of the quilts in the Strip Pieced Bargello. Thanks for the chance. On a Roll looks like a fun book. Can’t wait to see it in person! Think the Moda All Stars: On a Roll would be the one I would like to have. I really like Pat Sloan’s Celebrate The Seasons. Strip pieced bargello, please. I am in love with the pastel bargello quilt shown hanging on a wall. I’d love a copy of Strip-Pieced Bargello. I would love to add them all to my library, but if I won one, I choose Strip Pieced Bargello as my son wants a bargello quilt. Thanks for the chance to win one. 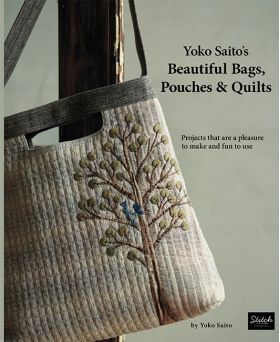 Definitely Yoko Saito’s Beautiful Bags, Pouches & Quilts….I love her books! I love Bargellos but probably Moda All Stars On a Roll. On A Roll=Looks like fun, and I have just the fabric. On a Roll- would get me rolling on my stash busting. Strip Pueced Bargello! Would love to play with color & the different designs! Strip-pieced Bargello for me, please. I have been wanting to make a bargello quilt. Definitely the Strip-Pieced Bagello. That is a quilt style that I have wanted to learn for some time now. There are so many patterns you can make in bargello. I love strip quilting and Moda All Star patterns. 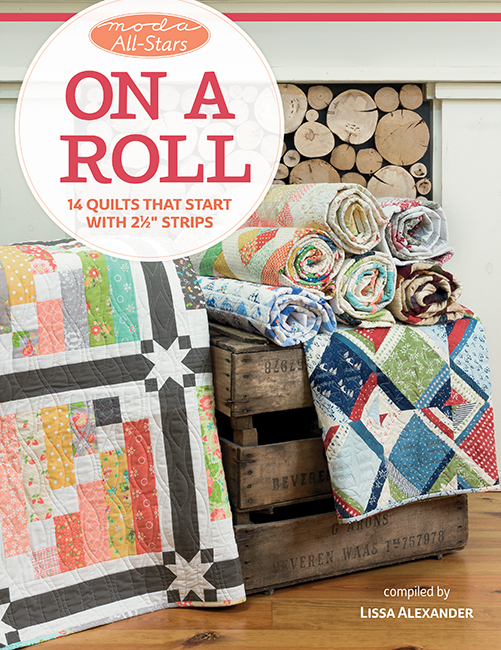 On A Roll would be a perfect addition to my quilting library! Mode All Stars on a Roll! Wow! Can’t wait for that one! I’d love “On a Roll”! So many beautiful designs! Thanks for the giveaways! I would love the On A Roll book as I have collected a lot of jelly rolls. I love ON A ROLL….strip quilts are so much fun. Pat Sloan’s Celebrate the Seasons – though all three new releases look enticing. All three look great! But I’d love the Moda All Stars Book because I have some jelly rolls to use! Love the Moda All Stars on a Roll quilt book. Moda All Stars: On A Roll. I own a couple of jelly-rolls but have never made a quilt using them. On a Roll is my favorite! It has some great quilts. I love the ON A ROLL book – jelly rolls are fun! On a roll! I have so many strips that I am over flowing! I need this book! Moda All-Stars – On a Roll. Would be nice to have some patterns using strips, thanks! I’d love to win the On a Roll book! Pat Sloan’s Celebrate the Seasons. I love applique. Strip piecing bargello. I always wanted to try making one of these. I definitely am interested in the Bargellos! They remain on my bucket list. I really love all the ideas in Moda All Stars On A Roll book. So many pretty patterns! My top favourite book is Celebrate the Seasons by Pat Sloan. Truth be told I love all three books and plan to get all of them. The Moda All-Stars is right up my alley! Love this series of books for all the variety!!! I’d love a copy of Moda All-Stars: On a Roll! Moda all star on a roll has quilts I would enjoy making. Thanks so much. This is a hard choice, I might just have to get all 3 of these books! But since I’ve never made a bargello quilt, Strip-Pieced Bargello would be top priority! "Celebrate The Seasons" by Pat Sloan. Thanks for the chance at a giveaway. Oh how I’d love On A Roll book…there are a few beauties I’d like to make from that book! I love making seasonal items for the holidays. So I would love to get the book "Celebrate the Seasons." I would love patterns using jelly rolls. On a Roll would be my choice. Thanks! It is hard choosing just one, but I will pick Strip-Pieced Bargello. Moda All Stars On a Roll looks like the one for me. Thanks for the chance to win and providing such wonderful books! I really like Celebrate the Seasons book. I also like the Bargello book as that quilt is on my bucket list to make. Strip-Pieced Bargello would definitely be my first choice. I would love to do one but am a bit afraid to have a go. this may be the nudge that I need. Thanks for the chance to win. I like all the patterns in the On A Roll book and would make a lot of them to enjoy. I would love the Strip-Pieced Bargello, having this sort of help to attempt one of these quilts would be just what I need. Thanks. I love Pat Sloan & would certainly enjoy her new book Celebrate the Seasons. Strip Pieced Bargello – what beautiful quilts,! The Strip pieced Bargello book looks amazing! The bargello book would be wonderful to win! I have added it to my wish list, as I think bargello books are soothing and interesting at the same time. I have made one but would love to make more. Many thanks for having this competition! Moda On A Roll would be my choice. I have a few jelly rolls that would like these patterns. WOW! The Strip Pieced Bargello has me drooling! It is a perfect mix of my favorite fabric and style of quilts. The first large quilt I ever made was a bargello and I was hooked. This book goes to the top of my list. I am glad that February is a short month so I don’t have as long to wait. Thanks for designing such great patterns. On A Roll would be my choice. On A Roll would keep me busy and happy for a long time. It’s a must-have. On a Roll looks like so much fun! That Bargello book looks gorgeous! On a Roll. Always love the inspiration from Moda All Stars. "On a Roll" is my favorite of the March books. I have a big stash of jelly rolls that I’m looking for new patterns for. Bargello on a Roll. Oh please let me put a bird on it!!! I have only done ONE bargello and would love to have all these choices. OOPS!! Strip pieced bargello. I would still love to put a bird on it! And would love this scrumptious book of patterns to make more bargello quilts. I love Pat Sloan’s quilt-alongside, so I would choose Celebrate the Seasons! I would love to make that Nordic snowflake! If I had to pick one, I would say "On a Roll". I have so much fabric begging to be used in any one of the quilts that were shown! oohhh, On a Roll! new grandbaby coming in the fall, and I have two matching jelly rolls just waiting to be used! or Celebrate the Seasons, love Pat’s work and I’m just about ready for Christmas spirit right now, passed me by this season, sigh. Star – Jelly Roll Book! I would love to learn bargello. Never tried one. So the strip pieced bargello would be my choice. Thanks for the chance to win. On a Roll Looks fun! I would love to make a Bargello quilt and I think that new Bargello Book would help me figure it out. Thank you for the opportunity to win!. I like the On a Roll book. Very difficult to choose between Moda All-Stars "On a Roll" OR "Strip Pieced Bagello" — either look full of wonderful ideas. If I had to choose one it would be the "Bagello" and I would still be wishing for the other. This is a hard choice! I would probably choose Moda All Stars – On a Roll because you can’t have enough patterns for 2 1/2 inch strips! Strip Pieced Bargello is my choice–I’ve always wanted to make a bargello quilt and I think this book would get me going. Stripped Pieced Bargello & Celebrate the Seasons but On a Roll looks awesome too! Just to hard to choose! !